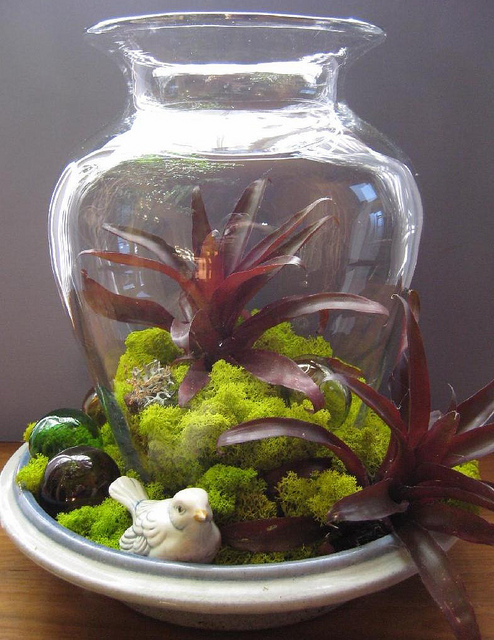 Check out the wonderfully detailed vivariumguide.com for guidance on building a bromeliad terrarium. I am not very familiar with bromeliads and did not realize there are epiphyte and terrestrial bromeliads. Make sure you know which one you have before you build a terrarium around it!